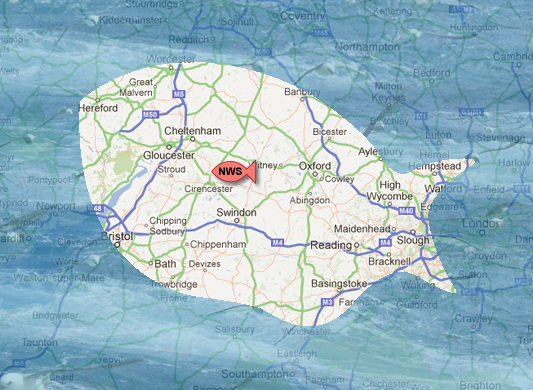 At New Wave we offer a free delivery service to all of our wholesale customers – currently, we go as far as Hereford and Bristol in the west, Winchester in the south, High Wycombe in the East and Leamington Spa in the North. We work through the night to prepare, pack, check and load our 14 refrigerated vans, which leave between 4am and 7.30am six days a week, and aim to deliver all orders by noon. Our route order is virtually the same each day, to bring as much consistency to our operation as possible. All our vehicles are fitted with a tracker system, enabling us to know exactly where our fleet is and when deliveries have been made. It also allows us to estimate delivery times for new customers. 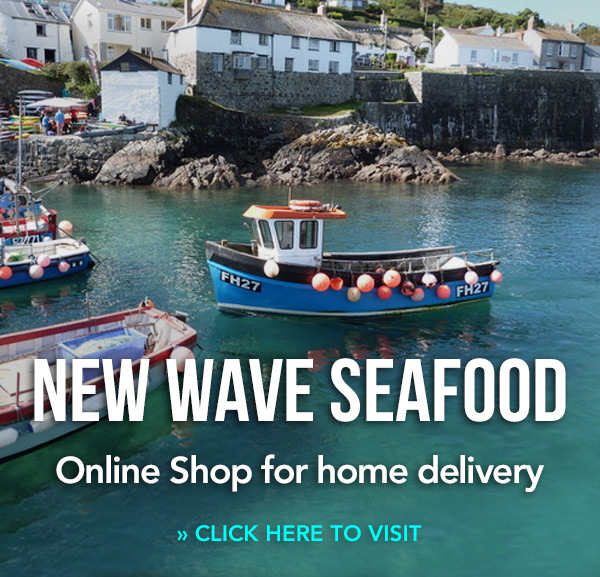 • If you are a retail customer, please call New Wave – The Fish Shop on (01285) 651751 to discuss delivery or email thefishshop@new-wave.co.uk. The New Wave six-day-a week FREE delivery area is indicated on the map below.